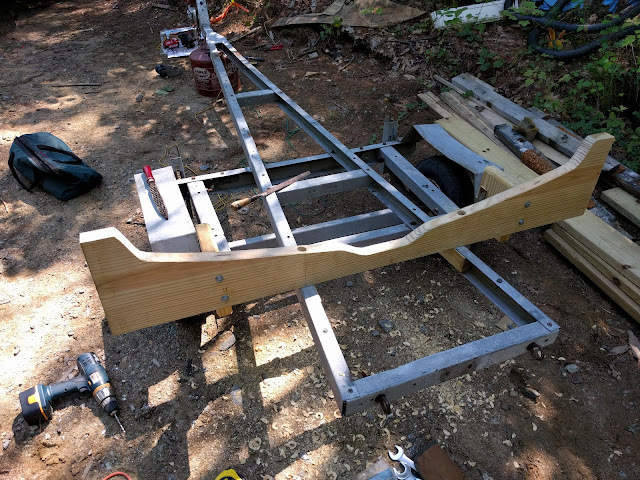 The last two days have been a blur of putting the boat back together and more significantly, getting the trailer road worthy. I decided that getting the boat out for a sail was the main goal for the weekend even though I haven't put final paint on the bottom yet, so getting the trailer going was key to making it happen. 1. Trailer was a mess, but bearings seem good. Looked like someone had backed it into a cement wall. The tongue was bent and there were numerous cracks. Trailer was super lightweight to begin with. Decided to try a local welder, he welded all the cracks and replaced tongue and deemed it 'mostly safe' for $50. Money well spent. 3. 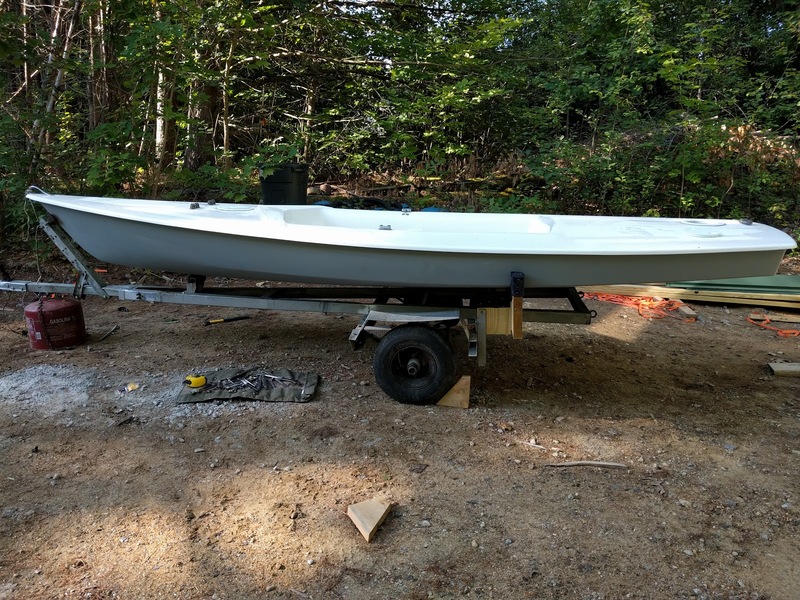 Installed new bunk with combination of 3/8" galvanized bolts and lags so boat would ride on it at recommended 48" from stern and re positioned roller so boat would ride 40" from bow. 4. Rewired trailer with $25 trailer kit from Home Depot. Easy, but annoying. Too many hours later, it is finished and ready to go.